Ranbir for Pepsi GO shirtless, you decide next ? Ranbir Kapoor is no where to be seen in movie these days. He launched his so called official website (unofficial websites are much better!) and now comes Pepsi ad Shirtless act. Aamir Ali and Sanjeeda was hottest coupleof Nach Baliye3 and won that season of the show. They were announced host of Nach Baliye4 with all the bells and whistles. Ashutosh Kaushik is one hell of a lucky guy. He came from small town and won MTV Roadies hands down. 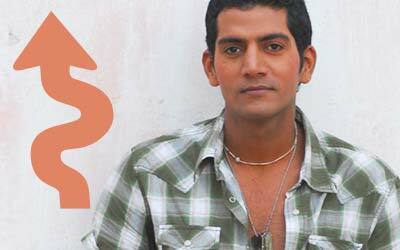 This year he quietly became king of Bigg Boss house. Anmol and Shambhavi came to limelight for their b!tching on MTV Roadies. Well, MTV and you will not get respite from them. Babes are back b!tching full on on their exclusive MTV show Gtalk. 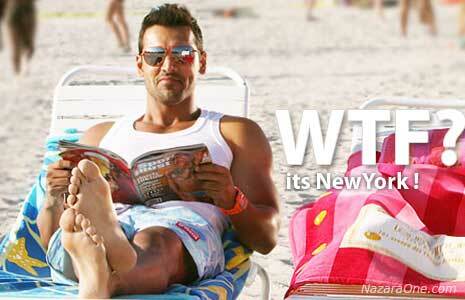 John Abraham pulled his brief down in Dostana and for upcoming movie NewYork he will take off briefs completely. This is all being done for shooting prison sequence in ‘NewYork’ movie. Finally (after 6yrs?) an Indian girl has won recognition at an International beauty pageant. Parvathy Omanakuttan has been declared first runner up (second position) at Miss World 2008. Dreamgirl Hema Malini on television is no more a dream. She will be seen on dance reality show ‘Dancing Queen’ judging item babes along with Jeetendra. Ranbir Kapoor Official Website, its about money ? Ranbir Kapoor has launched official website MyRanbirKapoor.com – before you jump to the website,Â here is warning for you.Â This website is more of promotional stuff of sorts with promoters splashing whole website with ads. Kangana Ranaut & newbie Adhyayan Suman are hanging together since making of Raaz – the mystery continues. As the movie heads for release, there seem to be buzz of their breakoff. So, its drama from real to reel life. Karan Grover & Shraddha Marry off in Goa ! TV super couple, Karan Singh Grover & Shraddha Nigam has been going around for a while now. Mumbai Mirror is reporting that they have tied knot on December 02 in Goa. They even managed to grab marriage picture.